For Lunch I often eat leftovers. I realize that I shouldn't reinvent the wheel so I use items from this list to increase our vegetable intake. This time around I bought a few new items so I will be trying new recipes. I bought Tahini and changed the way I make Hummus. I bought avocado oil and red curry paste as well. I'm eager to try these new things! I’m going to try not to bake a lot because every time I bake I go pastry crazy (as in, I eat everything almost immediately). I have learned to give away most baked goods but still, I’m trying to cut down on baking just so I won’t overeat. I bought Almond flour for the first time and I baked Pumpkin Chocolate Paleo Muffins with it. It was decadent! I mostly try to stick with fruits and nuts for Dessert and the occasional dark chocolate. 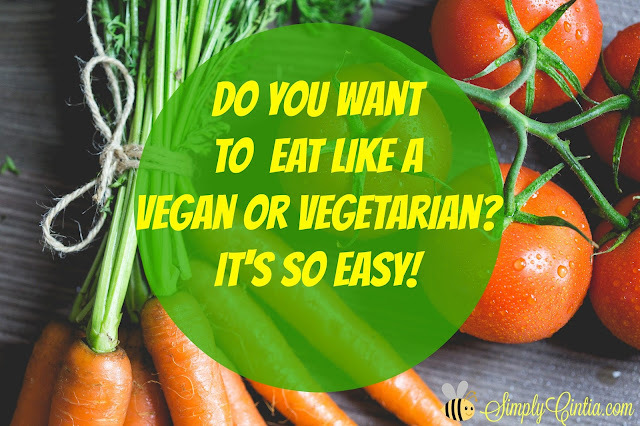 I hope you enjoyed this post and I hope you found some inspiration to increase your vegetable/grain/fruit intake! Be healthy, one meal at a time my friend!